Jan Marie Rushforth, a former Lansdowne resident, a passionate crusader for the environment, world peace, gender equality and rights of the disabled, died peacefully in her Bryn Mawr, Pennsylvania home on July 29, 2017 following a courageous struggle with ovarian cancer. She was 62. Jan Marie left the world a parting message concerning the environment in a videotape made shortly before her death which can be viewed and shared on her Facebook page, identifying climate change as the “most pressing issue of our time”. She appealed for support of a Carbon Fee and Dividend proposal endorsed by Citizens’ Climate Lobby, a non-partisan grassroots advocacy organization she worked with in recent years. 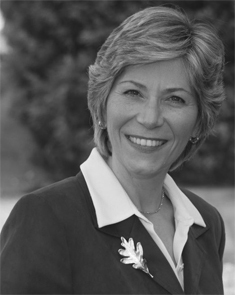 Jan Marie described herself as an “unpaid lobbyist advocating for bipartisan climate action.” She helped to organize and run the group’s Delaware County chapter. “We are the first generation to see the effects of climate change, and the last generation able to head off the worst effects,” she said. Born Oct. 26, 1954 in Ridgewood, New Jersey, Janice Marie Husing grew up in Allendale and Deal, New Jersey and graduated from Asbury Park High School, Class of ’72. Jan Marie earned a Master’s degree in Counseling Education from Texas Tech University in 1978. She helped establish a shelter for abused and neglected children in Lubbock, Texas. She worked for the National Multiple Sclerosis Society from 1978-1987. Jan Marie married her husband, Alan Rushforth, on June 21, 1987. They lived in Alan’s Lansdowne residence for the next 11 years, during which time she began her environmental activism with a campaign to keep household hazardous waste out of the Delaware County incinerator. She captured attention by bringing a 10- pound sack of used batteries to a Delaware County Council meeting. Jan Marie also initiated a Lansdowne Tree Planting Program and organized Earth Day ceremonies in Philadelphia. Upon moving to their home in Haverford Township in 1998, Jan Marie became a key figure in the battle to save open space at the former Haverford State Hospital site as it underwent redevelopment. She served on the Haverford State Hospital Consulting Task Force and also chaired the Ad Hoc Citizens Haverford State Advisory Board during tumultuous years in the township. Her efforts helped to preserve about 80 percent of the 209-acre site for passive and active recreation, including hiking trails through a nature preserve, athletic fields, Freedom Playground, a dog park and the award-winning Community Recreation and Environmental Center.